Clyde Mondilla looks to make it two straight wins after a sluggish start to the season. BACK in winning form, Clyde Mondilla goes for back-to-back when the Philippine Golf Tour resumes with the revival of the ICTSI Philippine Masters starting on Wednesday at the Villamor Golf Club in Pasay. Mondilla, 24, pulled off a big victory on Saturday, eclipsing Miguel Tabuena and Tony Lascuña in the ICTSI Manila Southwoods Championship . The Masters is making its big comeback after 17 years. Cassius Casas last won the event in 2000. Mondilla looks to get a win run going after a so-so start in the season, marred by two missed cut stints at the Solaire Philippine Open and at the ICTSI Manila Masters. Robert Pactolerin, Cassius Casas and Rodrigo Cuello will surely be the sentimental favorites but they battle the new breed of shotmakers. 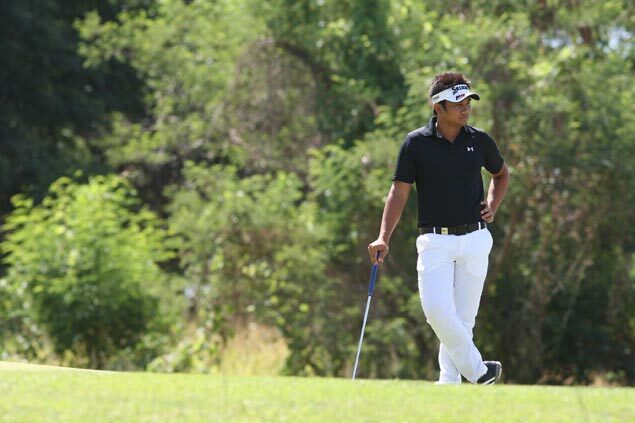 Tabuena, however, will not be around for the Philippine Masters as he compete in the European Tour. Seeing action are Jay Bayron, Elmer Salvador, Gerald Rosales, Mars Pucay, Rey Pagunsan, Benjie Magada, Jhonnel Ababa, Marvin Dumandan and Mhark Fernando. Young stars are also among the players to watch, including Ira Alido, Jobim Carlos and Keanu Jahns. The field also includes foreign challengers led by Lexus Keoninh, Paul Harris and Nicolas Paez of the US, Korea’s Park Jun Sung, Dutchman Guido Van der Valk, Macedonia’s Peter Stojanovski and Australians Nathan Park, Jason Dawes and David Gleeson. The event is organized by Pilipinas Golf Tournaments, Inc. and backed by ICTSI, BDO, KZG, Custom Clubmakers, Meralco, Sharp, Champion, Summit Mineral Water and PLDT.